Original Christmas wall decal of Santa Claus leaving through the chimney. Fun sticker to decorate your home during this festive season. Are you looking for a sticker to give your home a new look during this Christmas? 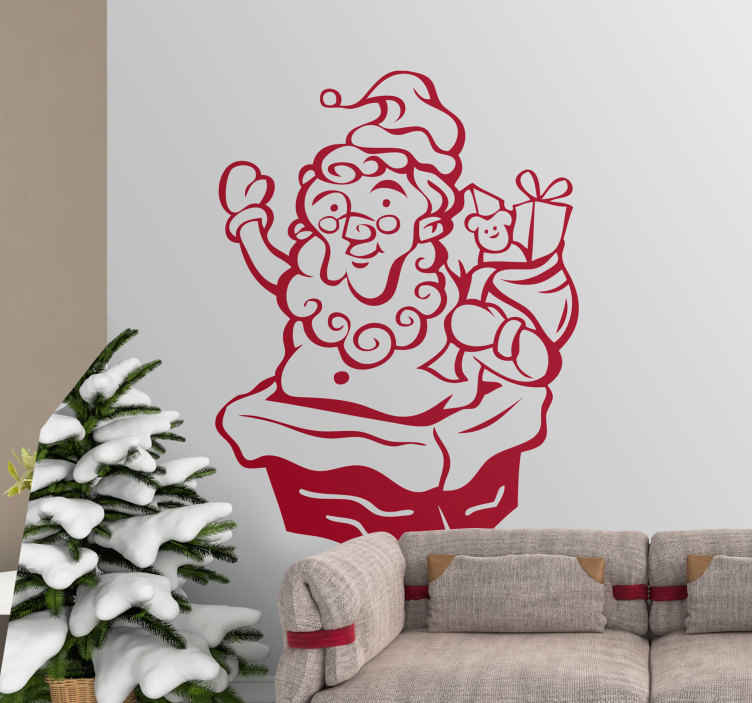 Get rid of those empty walls at home by placing this marvellous wall decal of a happy and friendly Santa. Create the perfect atmosphere for this festive season. Available in different sizes. Easy to apply with no bubbles at al!